There are at least three reasons to visit Vilnius - exploring Old Town, city walks and of course architecture. To make your stay more comfortable in Lithuanian capital city, in this article you will find TOP 15 boutique / luxury hotels in the Old Town of Vilnius. Vilnius together with other Baltic capitals is not an expensive city, here you will find stunning hotels in price range $100-$200. Located on the main street of Vilnius’s Old Town, The Narutis Hotel features 2 restaurants and a paid spa area with an indoor pool. Internet and parking are free of charge. Each air-conditioned room is individually decorated with unique frescoes, wall paintings, and original 16th-century ceilings. All rooms overlook the old town. The rooms feature a minibar, flat-screen satellite TV, and a bathroom with hairdryer. The elegant Narutis Restaurant offers Lithuanian and international dishes and a selection of fine wines. 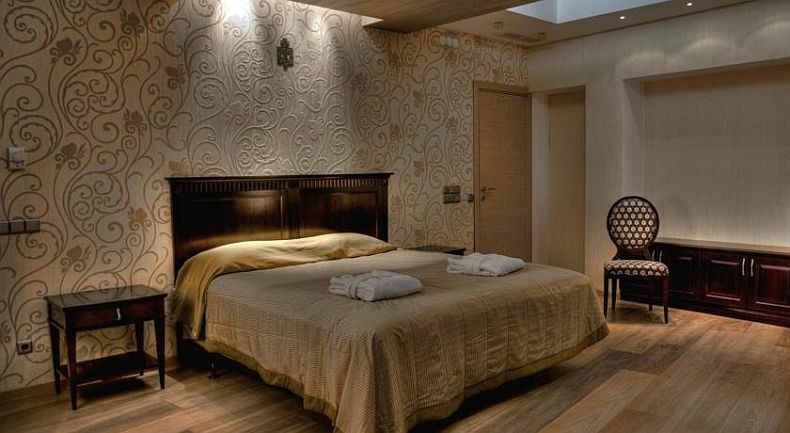 The spa area at the Narutis Hotel includes a sauna, a steam bath, and a hot tub. It also boasts a massage parlour. The staff is available 24/7 and provides tourist information. All major sights of Vilnius, including Gediminas Tower, the Cathedral and the Presidential Palace, are within 500 m.
Vilnius Old Town is a great choice for travellers interested in churches, architecture and history. The 4-star Congress Avenue is centrally located on Vilnius’ main street, Gedimino Avenue, only a few steps from the National Theatre and Government Palace. It offers a breakfast. All air-conditioned rooms of Congress Avenue offer an LCD TV with satellite and cable channels, as well as a bathroom complete with a hairdryer and either a bath or a shower. Some provide a balcony. At the reception of the property, guests can book city tours or buy tickets for the nearby National Opera and Ballet Theatre. The Cathedral of Vilnius is a 5-minute walk away. All main shops as well as the finest bars and restaurants are located in the immediate proximity of Congress Avenue. This is our guests' favourite part of Vilnius, according to independent reviews. Guests can relax in the on-site whirlpool bath, sauna and steam bath for free between 18.00 and 21.00. In the spa centre massages, beauty treatments, manicure and pedicure are available at a surcharge. The use of a fitness room is free for hotel's guests. Front desk staff is available 24 hours a day. Located directly on Vilnius’s Old Town, Ramada Hotel & Suites Vilnius offers air-conditioned rooms with flat-screen satellite TV and free WiFi. This 5 plus star hotel features a wellness centre with a steam bath and a hot tub and guests have free access from 7 am to 3 pm. The rooms of Ramada Hotel & Suites Vilnius have a traditional interior design inspired by that of the early 19th century. All are soundproofed and have a safe, a coffee machine and a minibar. Each boasts a private bathroom with slippers, bathrobes and free toiletries, some with a free-standing bathtub. The premium class gourmet restaurant Imperial serves international dishes. The California Tapas & Wine bar serves drinks and light snacks. In the mornings Champagne Breakfast buffet with freshly squeezed orange juice is available. 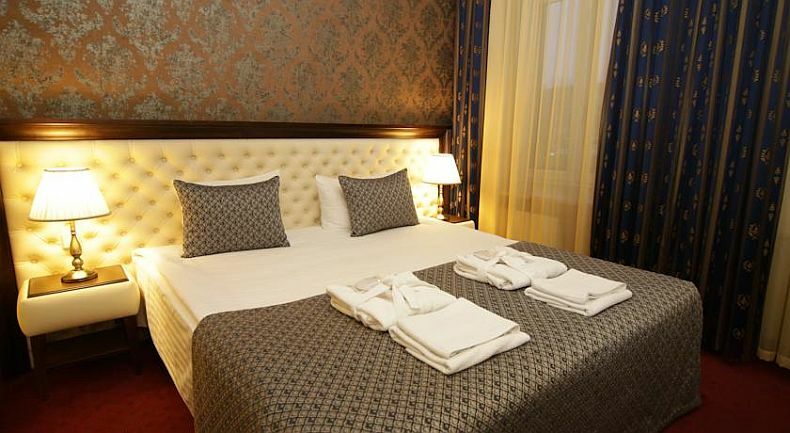 The Ramada Hotel & Suites Vilnius’s guests have access to the steam bath, fitness centre and game corner. The hotel also features valet parking and a concierge service. The staff is available 24/7 and provides tour information and can organise tickets. For guests convenience a cash machine and luggage storage are available on site. Vilnius’s main railway station is within 1.1 km. The Presidential Palace is 750 m away, and the Town Hall is 160 m from Ramada Hotel & Suites Vilnius. Amberton is located in the heart of Vilnius’s Old Town, just a few steps from Cathedral Square. It offers air conditioned rooms with flat-screen cable TVs, work desks and a free internet connection. 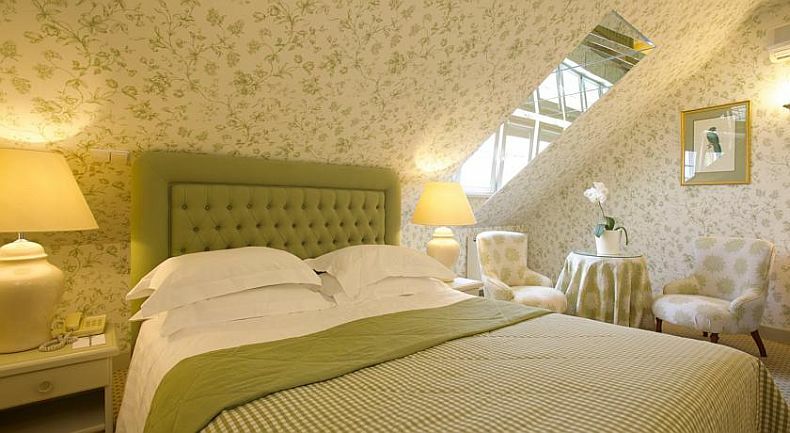 The rooms of the Amberton feature a classic interior design with bright walls and wooden furniture. All have a safe and a minibar. Each private bathroom includes a hairdryer and either a bath or a shower. The main shopping avenue of Vilnius is only 30 m from the Amberton. The Palace of the Grand Dukes of Lithuania is 200 m away. Many cafés, restaurants and shops are nearby. The La Cave restaurant serves French dishes and offers views of the cathedral. A Breakfast buffet is available in the restaurant in the mornings. The outdoor café is open during the summer season. Kempinski Hotel Cathedral Square was built 100 years ago and has been fully renovated. There is a 24-hour front desk service. The bus and train stations are 2 km away and Vilnius International Airport is 7 km away. 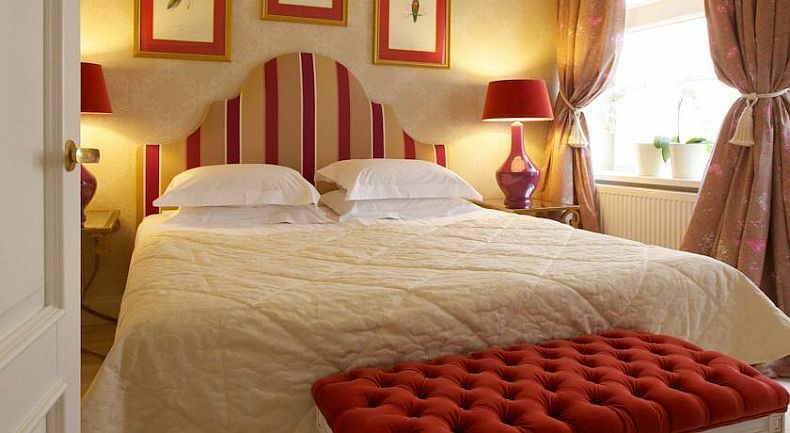 The 4-star Hotel Congress is located in a 19th-century building, 650 m from the Old Town Vilnius. 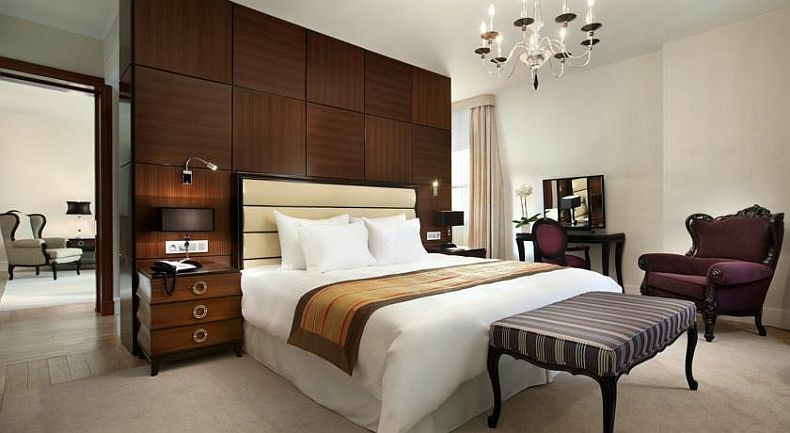 It features rooms with individually controlled air conditioning, free WiFi, a minibar and a safe. All rooms at the Congress are classically furnished and decorated with warm tones and wooden features. Each comes with satellite TV and a modern bathroom with a hairdryer. Guests can exercise in the fitness centre or try a selection of available massage treatments in a parlour nearby. Front desk staff is available 24 hours and can assist with luggage storage. There is limited parking available. A varied buffet breakfast is served in the hotel’s elegant restaurant, which offers a variety of European dishes. There is also an on-site bar with drinks and snacks. Hotel Congress is located within a 10-minute walk of the Vilnius Cathedral. The Vilnius Castle Complex and the Gediminas’ Tower are 800 m away. 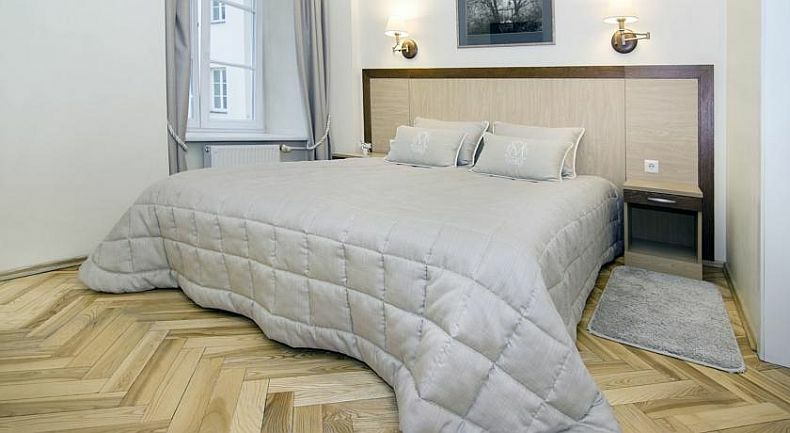 The luxurious Relais & Châteaux Stikliai Hotel and Apartments is housed in a historic building with Baroque and Gothic features and located in the centre of Vilnius Old Town. 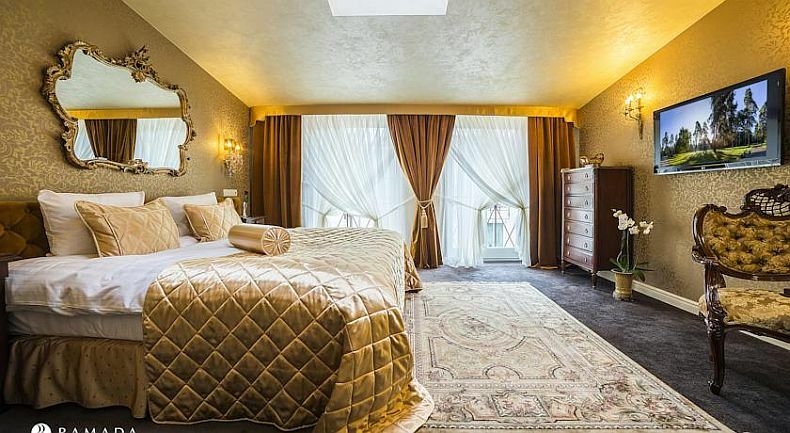 It features individually designed rooms with antique furniture and air conditioning. All elegant rooms at the Stikliai are decorated with high quality fabrics, furniture and accessories. Each comes with free internet, a flat-screen TV with satellite channels and a seating area. All have a minibar and a safe. Bathrooms come with bath and shower, free toiletries, bathrobes and slippers. There is a Spa Centre with a sauna, a swimming pool, a gym and a treatment room. Guests can also enjoy a Cocktail and a Lobby bar. Front desks staff is available 24 hours a day and can arrange concierge services, assist with luggage storage or provide ticket service. There is an ATM on site for guests convenience too. A varied buffet breakfast is served every morning in the hotel’s stylish restaurant, Tavern, which offers the most popular local dishes. The on-site Stikliai Café serves light meals, cakes and coffee. Relais & Châteaux Stikliai Hotel and Apartments is situated 200 m from the Vilnius University, the oldest one in the Baltics. The Cathedral Square is only 500 m away. The classically furnished rooms of the Domus Maria feature soundproofed windows. Each has a private bathroom with a hairdryer. The hotel’s staff is available 24 hours a day and offers tourist information. Guests can rent a car directly at Domus Maria. The hotel’s café serves breakfasts from 7:00 till 10:00. The Gate of Dawn is within 130 metres, and the Vilnius town hall is 280 m from the Domus. Vilnius’s main railway station is a 15 minute walk away. 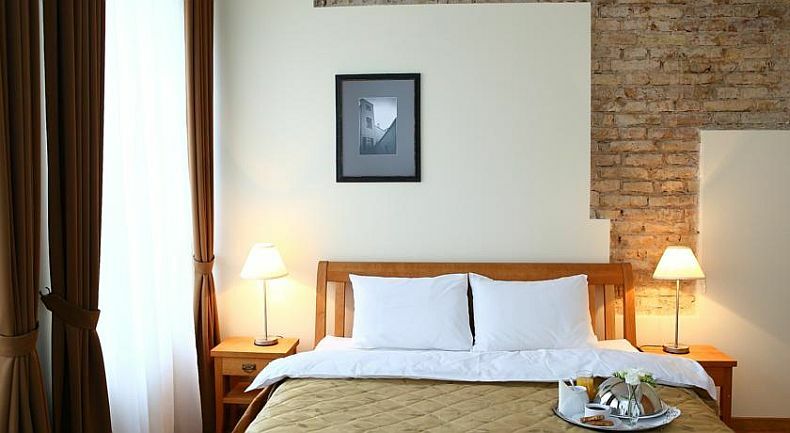 Located in the heart of Vilnius’s Old Town, The Irish-owned Hotel Tilto is only 240 m away from Vilnius Cathedral. It offers air-conditioned rooms with flat-screen TV with satellite channels. The rooms of the Tilto feature a stylish design. Many have brickwork elements and handmade furniture. All rooms have blackout curtains and a private bathroom with a bathtub. Palace of the Grand Dukes of Lithuania is located 450 m from the Tilto, and the Presidential Palace is within 550 m. The Vilnia River is within 270 m.
The staff is available 24 hours a day and provides tourist information. It also can arrange an airport shuttle. The Tilto’s restaurant serves local dishes. It also boasts a Guinness Pub. 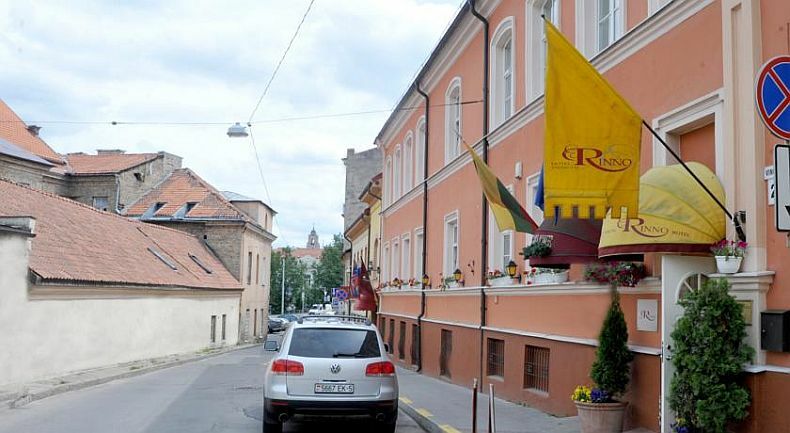 The elegant, 3 plus-star Hotel Rinno is situated on the quiet Vingriu Street close to the Synagogue in Vilnius' Old Town. 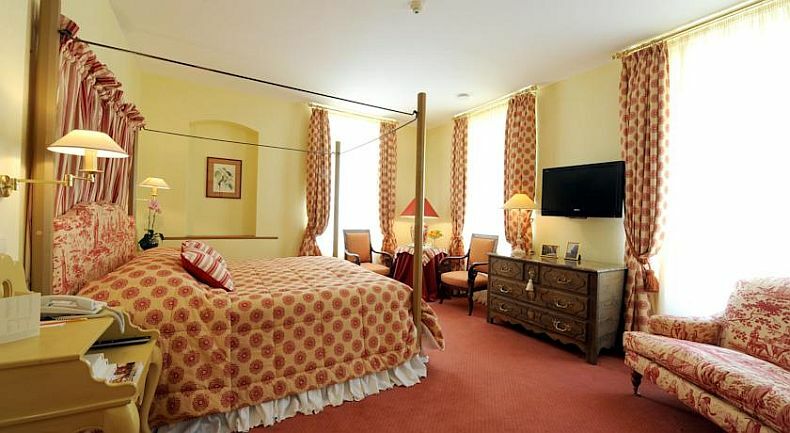 It features classically decorated rooms with satellite TV and free Wi-Fi. All rooms at the Rinno are decorated with warm, sandy colours. Each comes with a private bathroom with a hairdryer. Some offer a minibar. Guided tours can be arranged upon request. A pick-up service from the Vilnius International Airport, which is 6 km away, is available. Guests can start their day with a buffet breakfast, including traditional choices as well as cooked-on-request pancakes and omelettes. The on-site bar is open 24 hours a day. Guests are offered complimentary tea and coffee. 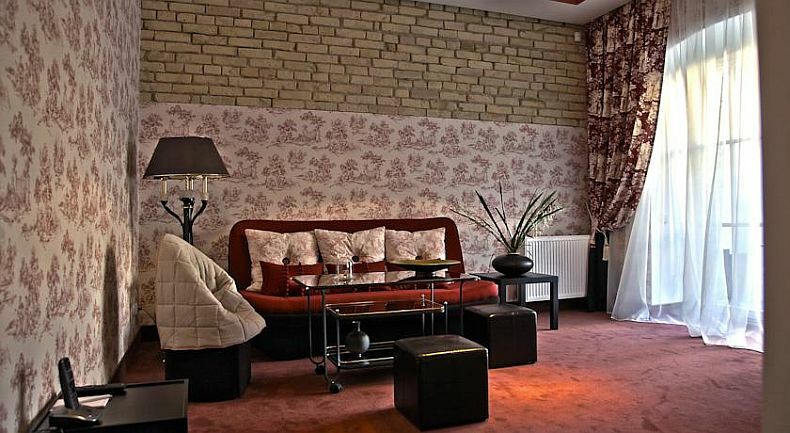 Hotel Apia is a stylish hotel, located in the very heart of Vilnius’ Old Town and it offers views of the historical area. Parking is next to the hotel. Vilnius Train Station is 2 km away. The rooms at Hotel Apia are classically decorated and feature wooden floors. Each comes with a private bathroom with heated floors and a hairdryer. Satellite TV and free WiFi are also provided. Breakfast is served at the 5-star Hotel Narutis, which is only 350 m away. The Spa facilities, which guest can use, are also located there. Numerous bars, cafés and restaurants are available in the area. The hotel staff are happy to help with booking the sightseeing tours of Vilnius and guests are offered a guide book of the city. An airport shuttle and car rental can also be arranged. Vilnius International Airport is 7 km away and St. Nicholas Church is 500 m from Hotel Apia. 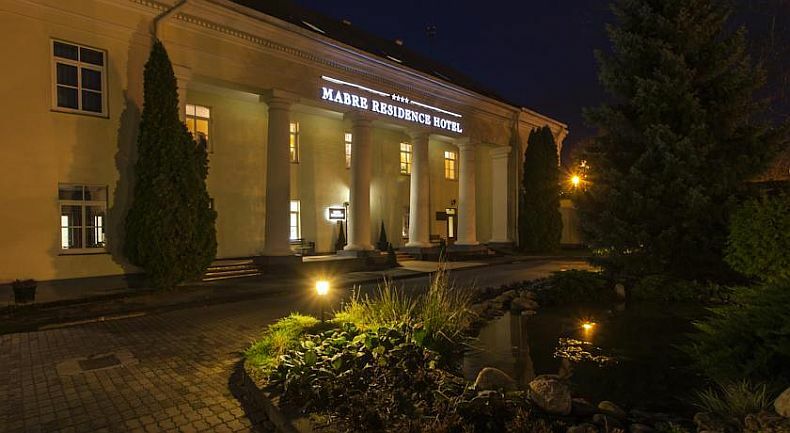 Located in Vilnius’s Old Town, in a former monastery from the 16th century, Mabre Residence is only 200 m from St. Anne’s Church. This 4-star hotel offers air-conditioned rooms with cable TV and a free internet connection and private parking. The rooms of the Mabre Residence feature a classical interior design. All have a minibar, work desk and a tea/coffee maker. Each private bathroom has a hairdryer. The front desk is available 24/7. It can arrange bicycle and car rental. Guests can relax in the hotel’s sauna or the plunge pool. There also is a beauty centre on site where guests can enjoy various treatments. The Presidential Palace is located 600 m from the Mabre. 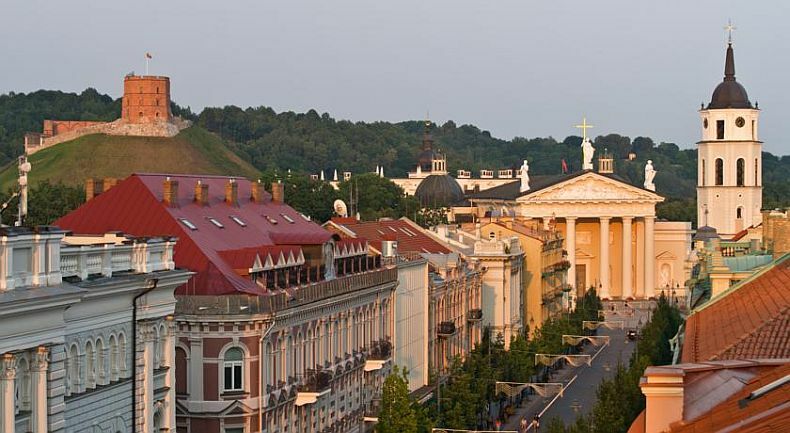 Pilies Gatve is within 450 metres, and the Vilnius Cathedral is within 300 m.
The hotel’s own Steakhouse, the Hazienda, serves various beef dishes and in the summer season guests can enjoy them on the terrace. 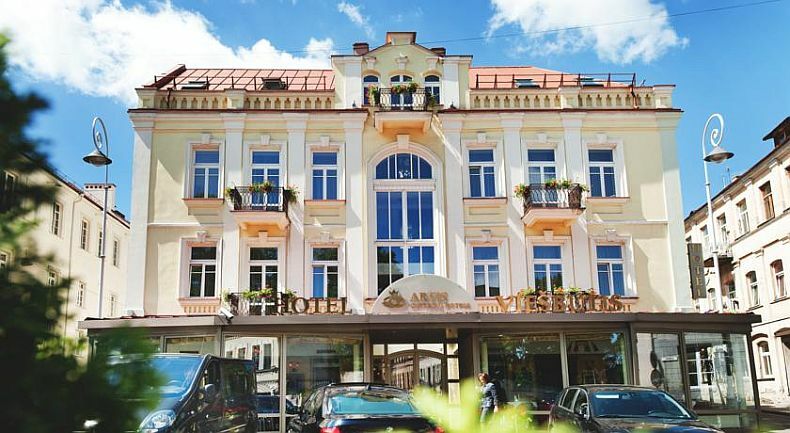 4-star Moon Garden Hotel is located in the Old Town of Vilnius, 1 minute walk from the Gates of Dawn and within a short walk from the boutique shops. It offers design rooms with free Wi-Fi. Rooms in Moon Garden Hotel will provide you with a flat-screen TV with cable channels and a minibar. There is also a refrigerator. Featuring a shower, private bathrooms also come with a hairdryer, towels, slippers and bathrobes. The hotel offers 24-hour front desk and breakfast served in the hotel restaurant. Art Hotel Moon Garden is just 100 m away from the Catholic relic in Lithuania. The hotel is 900 m from Old Ensemble of Vilnius University, 4.8 km from Siemens Arena . Vilnius Airport is 4 km away. Gediminas Tower is 1.9 km away and Palace of Grand Dukes of Lithuania is 1.4 km from Moon Garden. The 4-star Atrium Hotel is located in the heart of Vilnius’s Old Town. It offers air-conditioned rooms with a safe, satellite TV, minibar and free Wi-Fi. The rooms feature a unique interior design combining historical elements with modern amenities. Some rooms feature wooden beams, other have brick walls or wooden floors. All rooms have work desks, most have seating areas. The Atrium’s staff is available 24/7, and offers tour information and provides a ticket service. Recreation centre with a hot tub, as well as a hall with fireplace, are available for an extra fee and can be reserved for private use. The hotel’s restaurant, El Gaucho Sano, serves Argentinean dishes. It also boasts its own fireplace. Many landmarks are within 300 m of the hotel. These include the Vilnius Cathedral, the presidential Palace, Vilnius University and the Palace of the Grand Dukes of Lithuania.